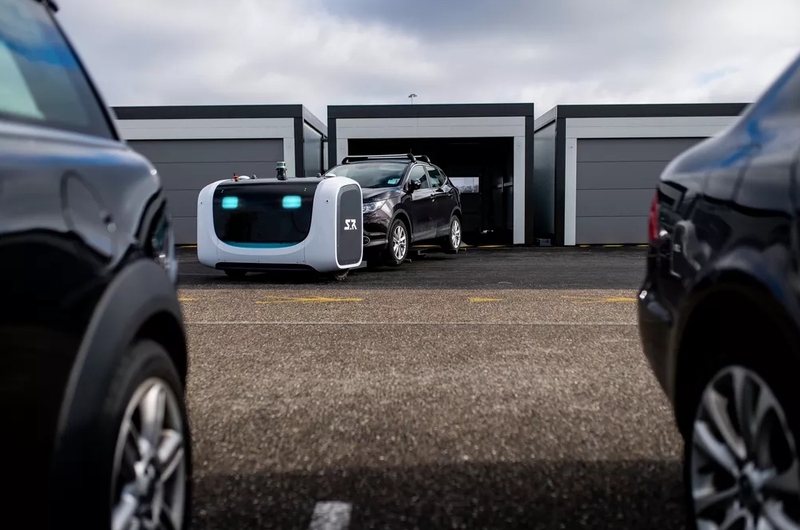 Forward-looking: Stanley Robotics claims its automated valet system is more efficient than humans as it can squeeze more vehicles into the same amount of space. By keeping track of when a customer is due to return, it can also arrange vehicles more efficiently. Plus, it's incredibly convenient. Flying may be the fastest form of long-distance travel but it’s not without its own set of headaches, one of them being arranging transportation to and from your local airport. If you’d rather not inconvenience a friend or family member, you can always opt for a cab or ride-sharing service although nothing quite beats the comfort of your own vehicle. Tucking it away in a parking garage then having to hunt it down again, however, isn’t as much fun. That’s where Stanley Robotics comes in. The company’s outdoor automated robotic valet service is designed to be a one-stop solution for your parking needs. Simply park your vehicle in one of the company’s garages upon arrival at the airport, validate your reservation at the terminal and walk away with your keys in hand. A robotic vehicle mover will eventually transport your vehicle to a secure storage lot. When you’re due back from your trip, a robot will pull your vehicle from the lot and place it in a labeled garage. There’s no personal valet to deal with and you don’t have to go hunt down your car in a parking garage or uncovered lot. The system has been installed at the Lyon-Saint Exupéry airport in France. If successful, the solution could conceivably expand to other airports or locations where vehicles are stored for days at a time, like at a cruise port.